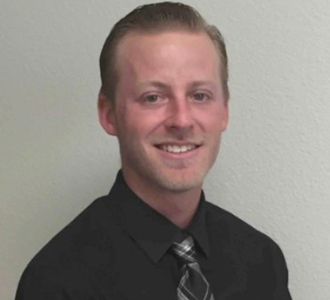 To Salon Success Academy’s Vice President of Operations, Jeff Gross, it’s more than just running a business; it’s carrying on his grandfather’s legacy. Jeff watched first-hand as the school transformed before his eyes. Founded in San Bernardino by his grandfather, Richard Gross, in 1960 under the name Richard’s Beauty College, that small school evolved into what we now know as Salon Success Academy. The well-known cosmetology school has five campuses across the Inland Empire and offers Cosmetology, Barbering, Esthetician, and Manicuring/Nail Care programs. Last year, especially, was eventful for California beauty schools at the local, state and federal level. “The largest beauty school chain, which had been around for about 100 years closed its doors,” says Jeff. “And we felt it was our duty as educators to help the displaced students to continue to pursue their passions.” Salon Success developed a teach-out plan, approved by the National Accrediting Commission of Cosmetology Arts and Sciences. It was designed to accept the credits and training students had earned at the competitor school so those students “didn’t have to put their dreams on hold,” according to Jeff. That helpful attitude is the foundation on which Jeff’s grandfather built the company. Jeff says it’s his philosophy too. The school brought on the Barbering program because there was demand for it. They offer flexible schedules so students can fit school into even busy lives. Jeff says that he listens to what students need and tries to be responsive. He says he’s willing to look into adding programs to specific campuses, adding more nights if necessary. “We’re always willing to listen,” says Jeff. With 2016 in the rear view mirror, Jeff is truly excited about what 2017 will bring. “Our industry needs quality education and we’re here to provide it. We strive to be ahead of the curve,” says Jeff. In that spirit, last year Salon Success Academy partnered with MUD Makeup Designory. MUD offers a unique opportunity that blends the Salon Success Esthetician Program with MUD Studio courses, as well as other standalone makeup courses. They also added Barbering in 2015, which is now available at both the Riverside and Upland campuses. If you’ve ever considered a career in the Beauty Industry, let us help. With more than five decades of experience and a “people helping” philosophy, Salon Success Academy could be a partner to your success! Give us a call at 877-987-4247 to learn more now!